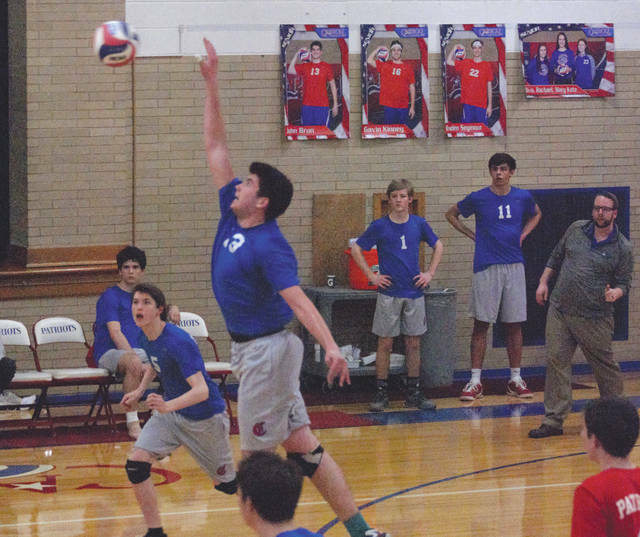 https://www.xeniagazette.com/wp-content/uploads/sites/32/2019/03/web1_JohnBrunSpike_PS.jpgCarroll junior John Brun executes a kill in the second set against Fenwick, March 28 in Riverside. Fenwick won the battle of state-ranked Division II teams in straight sets. 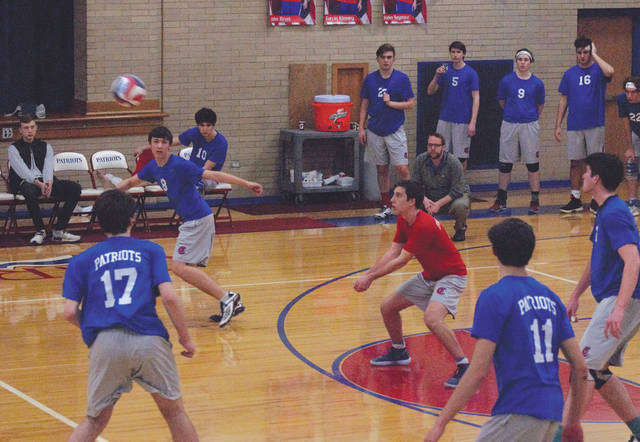 https://www.xeniagazette.com/wp-content/uploads/sites/32/2019/03/web1_PerkinsDig_PS.jpgCarroll’s Ethan Perkins makes a successful dig on the way to the team setting up Cannon Tucket for a spike, March 28 in a boys high school volleyball match against Greater Catholic League Co-Ed foe Fenwick.